The history of marine culture and industry run deep in Anacortes. And that culture and industry remains strong today. 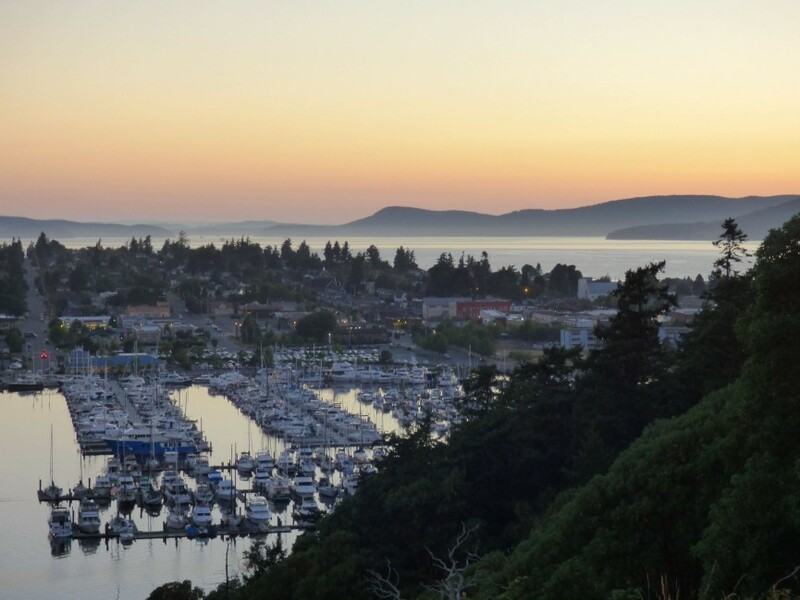 As a hub of both commercial and recreational maritime activity, and as the gateway to the San Juan Islands & the Inside Passage, Anacortes continues to be a vital center for boaters in Washington State. Coming to the Anacortes Boat Show is a multidimensional experience. It begins with a deep exhale as one’s gaze expands into the islands and waterways, even as you approach Fidalgo Island. Driving through town, the dominance of boats and maritime culture is conspicuous. And no matter where you go, water and islands are in every view. If you have time before or after exploring the Show, you can enjoy a walk among towering old-growth forests, with breathtaking views of the San Juan Islands (try Washington Park, Sare’s Head, or Deception Pass State Park). After hours, stroll through Old Town Anacortes, enjoying the many high quality art galleries, street murals, quaint restaurants and local taverns. The Boat Show itself is emphatically local. Anacortes needs no outside help in offering an abundance of diverse new and used yachts for sale, along with many of the region’s best marine service and technology providers. And of course, Shearwater University will be there, eager to hear about your boating interests & experiences, and with an abundance of information about our courses. We are offering first-year discounts on all of our high-quality and rigorous boating classes in all of our schools. Emphatically local in all the best ways: You can skip the downtown traffic, take in the gorgeous views of the islands and Cascade Mountains (prominently including Mount Baker) from the show and its environs, and soak up the local culture like sea salt from the bay. You will never regret a visit to Anacortes – especially in Boat Show season.